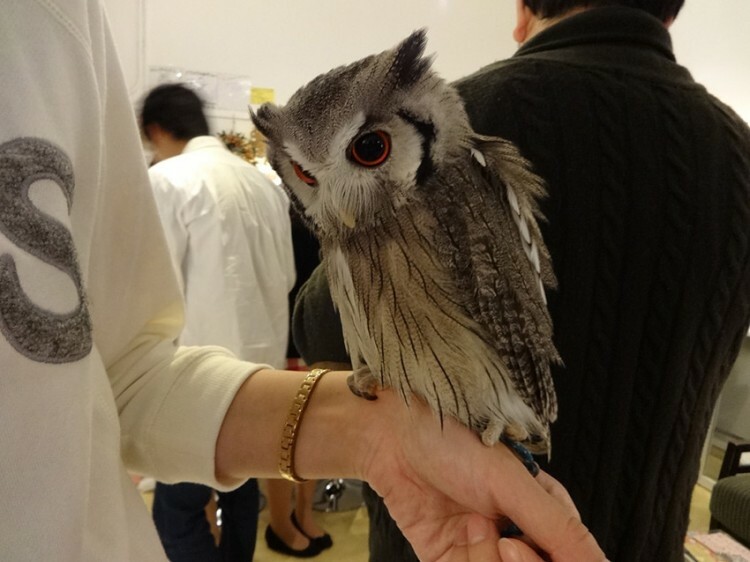 Fukuro no Mise is a busy cafe in the Central Tokyo, Japan neighborhood of Tsukishima that allows its patrons to interact with all kinds of domesticated owls while enjoying their tea. 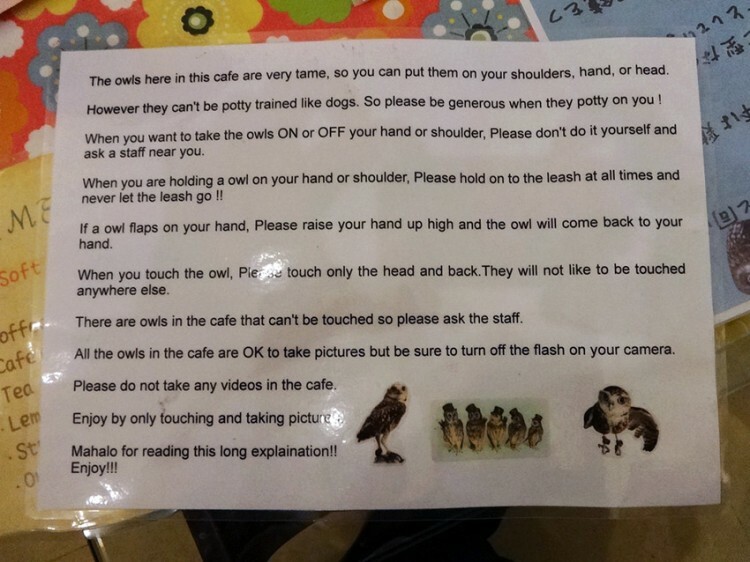 While there are numerous owl cafes within the city of Tokyo, travel writer Linda Lombardi chose to visit this particular cafe due to its internet presence, although getting in isn’t always convenient. 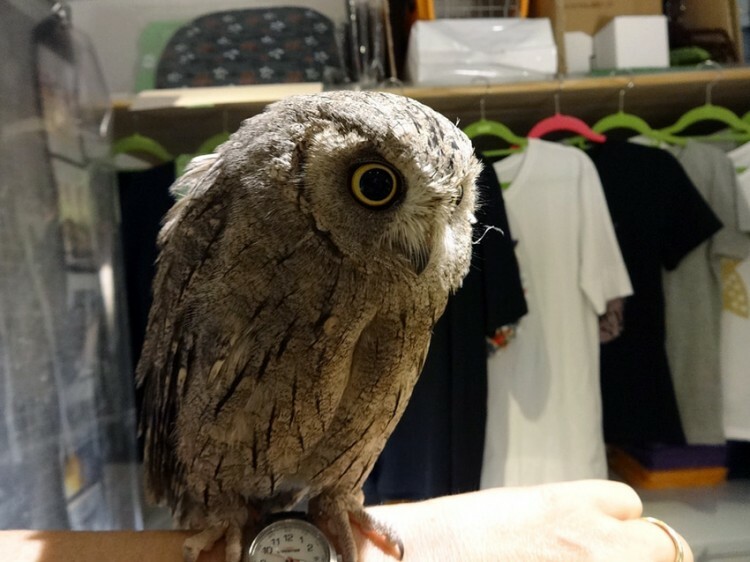 I chose Fukuro no Mise in Tsukishima, which seems to be the owl cafe most well-represented on the Internet. Their procedure can be inconvenient but doesn’t require any language skills. Get in line an hour before they open and they will give you a reservation for later that day and take your 2000 yen payment for the hour-long session. 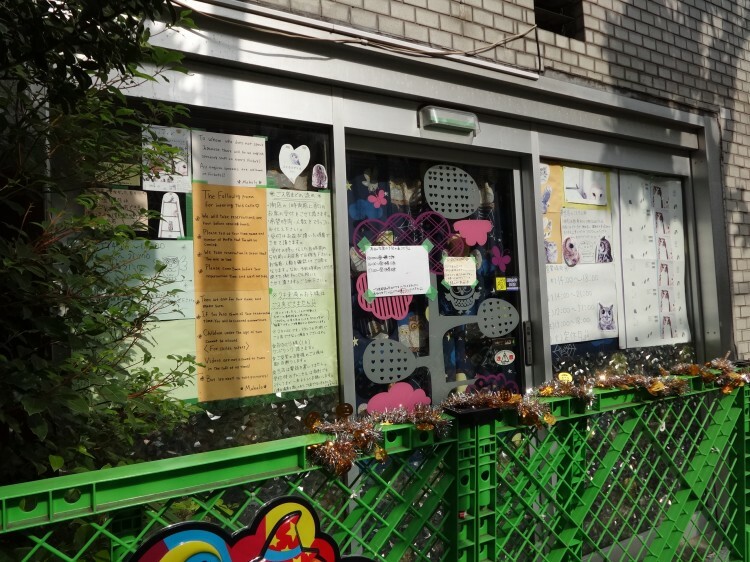 It’s all explained on the many posters on the windows in both Japanese and English. When I arrived a little after 1 on a weekday, I got the last seat for 3 PM, so you may have some time to kill. There are no refunds if you change your mind, and you need to come back five minutes before your reserved time or you might not get in. Once inside, however, Linda found the cafe to be a fun experience. I have to say that my initial skepticism totally vanished. It was amazing to be up-close with these wild animals that seemed totally un-fazed by the experience. Maybe they knew they had the upper hand, what with the sharp parts. 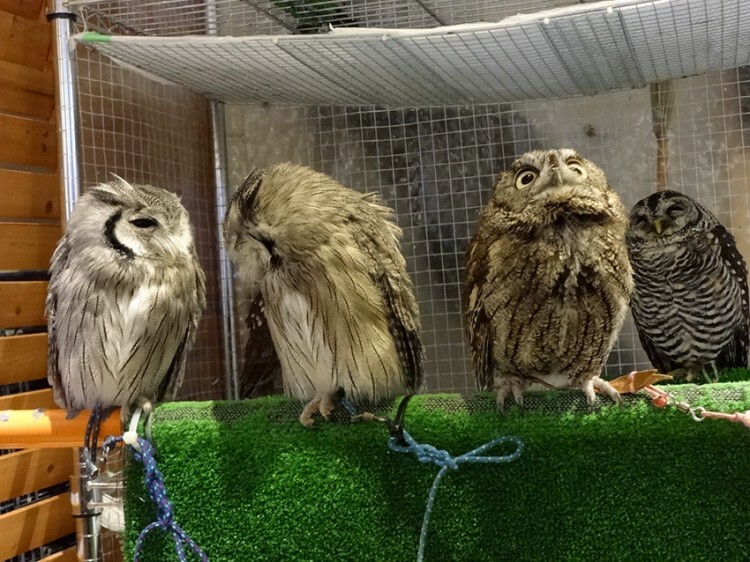 And clearly they’re used to the adoration of the crowds. They were also quite beautiful and much more varied than I expected.